KTT 689 is a 1948 Guy Vixen with petrol engine and C29F body supplied by Wadhams Bros. It is one of a pair supplied to Court Cars of Torquay. In later life it was preserved under cover at WETC for some 20 years before being bought by Ron Lucas. Upon his death it was acquired by the Black Country Living Museum where this picture was taken on 27/10/13. Repainted in 2012 it still has the original interior as supplied. Another beauty that’s found its way to these pages via Ken’s camera! Yes indeed, a real treasure. I too saw it at the Black Country Museum in mid August on a day out with grandchildren. It was in service but unfortunately didn’t get a chance to ride on it. Although nowhere near as numerous as the Bedford OB / Duple Vista combination, there seemed to be quite a number of this body style around once upon a time, in the late 50’s / early 60’s. I remember one in Portsmouth that looked a bit sorry for itself c.1961/62, painted all over matt grey, registered FRV 629. It was based on a Morris Commercial chassis, and probably of similar dimensions to the Guy. It was owned by a local contractor, Privetts. This contractor was building an office block on the site of the disused part of the Cosham compound by the railway gates – the one time terminal for the trams and trolley buses, before the smaller one was built c.1948. The new office was just a simple building, not the high tower that is there now. FRV 629 just sat at the edge of the site for most of the time, so on reflection now, I presume it was being used as an office / store, rather than staff transport. There were at least two others of this combination, FBK 569 and FBK 639. Although all three were new to other local operators, they all ended up with White Heather of Southsea from 1953/54 until 1960. All three went to United Service Garages as a dealer, but only the one I’ve mentioned saw further use with Privetts. I read somewhere recently (this site?) that Wadham bodies were not renowned for their longevity, so their use from 1950 to 1960 as PSV’s is probably typical of their type. So we have a rare gem now preserved at Dudley, and well done for those who have restored it for service. I was surprised to note that it has a full width bulkhead behind the cab, the driver shut off from the passengers in splendid isolation. It must have been a bit like driving a van. It is still at the BCLM but it really needs a lot of work. 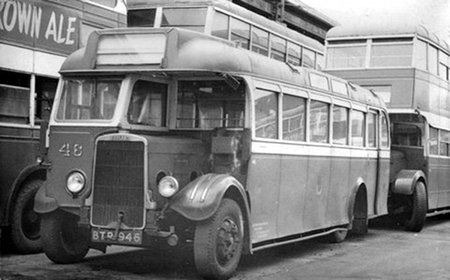 Portsmouth Corporations fleet number 46 was the last of a batch of 6 Leyland LZ4 Cheetahs, 41-46 (BTP 941-946), with locally-built Wadham bodywork, new in 1939. 41 and 42 were withdrawn in 1941, after suffering war damage. This view of 46 at Eastney Depot was taken about 1954 when the remaining four of them were withdrawn from service and were awaiting disposal. Note the sad appearance, bald front tyres and single wheels only on the rear! Although I only holidayed in Portsmouth and Southsea from 1949-1956, I never recall ever seeing these buses in service. Note the bus is surrounded by some of the nine 1944 Duple-bodied utility Daimler CWA6’s of which virtually no photos seem to exist. 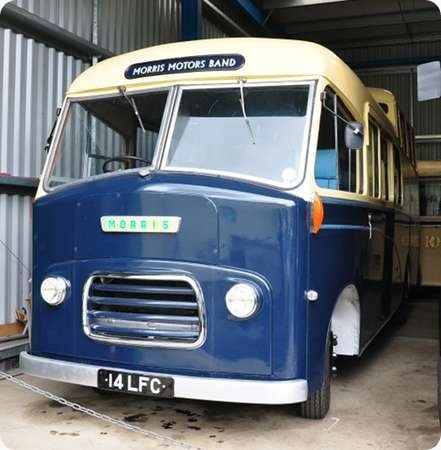 In 1959, the chassis were thoroughly overhauled and they were despatched to be re-fitted with Crossley bodies, some of the last Crossley bodies built, only to be scrapped in 1965! With only nine pre-selective gear change vehicles in the fleet, they were greatly abused, with inexperienced drivers using the gear change pedal as a clutch pedal, with lots of juddering. As a visiting Londoner, living in the Daimlerland Merton/Sutton area, it made me cringe! The Cheetahs were bought for the Southsea Sea Front Service, but of course this ceased in September 1939. The bodies had sunshine roofs and a total of six destination screens to inform the tourists of the attractions on the route. 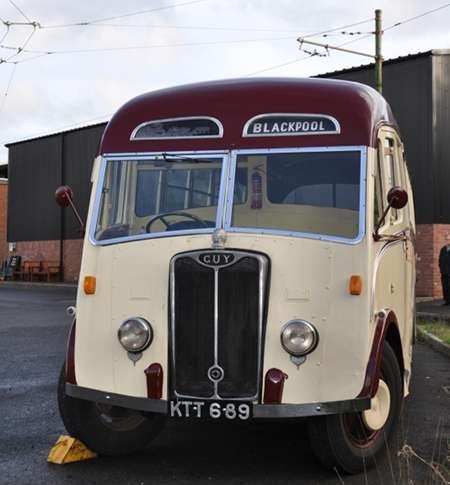 The bodies were reportedly heavy for the lightweight chassis, which was fine for a ride down the promenade, but a problem on normal services.After the war they were used on peak time specials when the fleet was understrength, but very little else. Interestingly there is a record of No.43 running on mileage equalisation duties on Southdown Service 138 from Fareham to Cosham over Portsdown Hill. That would have tested its Leyland 4.7 litre engine. It’s true the bus behind is one of the CWA6/Duples, as all nine were withdrawn in 1954 to go to Crossley for new bodies, being returned in 1955. Thus they did 11 years with original, and 11 years as rebodied, being withdrawn in 1965/66. But those at the side of the Cheetah are Craven-bodied TD4s of the 131-160 batch. These would be either early withdrawals, or set aside for a work-shop rebuild. CPPTD carried out a lot of rebuilding work on the Cravens bodied TD4s and the trolleybuses from c. 1949-1957/58, although not every member of these batches received such work. I agree with ‘Michael Hampton’ with regards to the re-bodying of the ‘Daimler CWA6’. A rather elderly Bus Book I have from 1963 states that they were re-bodied in 1955 by Crossley. I think it would have been a lot to ask, that a Double Deck ‘Utility’ body last fifteen years, (unless heavily rebuilt), with the dreadful quality Wartime materials allowed by the ‘Ministry of Supplies’ for Bus Bodies. Even the paint allowed was little better than ‘coloured water’!! Credit must be give to ‘C.P.P.T.D’ for managing to keep the Utility bodies in service for eleven years. Before the eventual & inevitable – re-bodying process. Does anyone have a photo of the CWA6’s as re-bodied? I can’t think of any Crossley bodied Daimlers (with exposed radiators that is). Oldham had fifteen Crossley-bodied CVD6 (322-336) and Manchester had fifty CVG5 with their characteristic body (4000-4049). Also Lancaster had a solitary (I think) CWG5 rebodied by Crossley. However, it is possible you are thinking of the later Park Royal-designed Crossley body and I have to say I can’t think of any other examples. 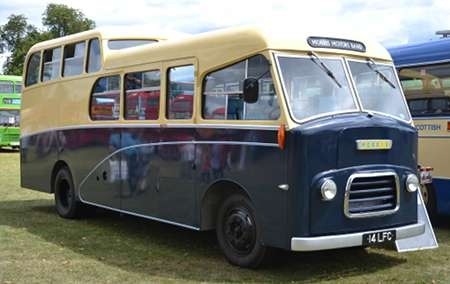 No, actually I was thinking of the earlier type of Crossley body of the style with the stepped rear windows, which may be called ‘true’ Crossley bodies. 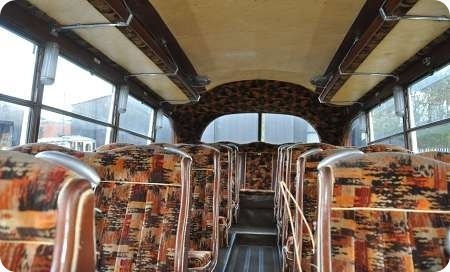 The Portsmouth fleet list on Classic Bus Links states that they were re-bodied in 1959, very late for a wartime chassis to be treated, I thought that T Burrows ex London Daimlers were the last to receive new bodies in 1957. Anyone know which date is correct? 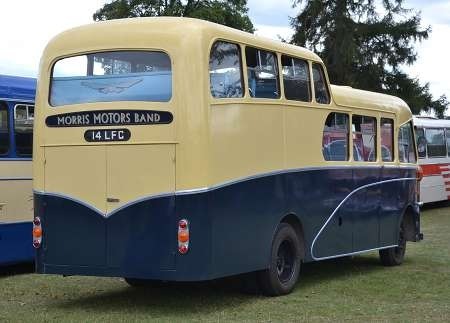 If it was 1959 as stated by Chris Hebbron above, they would of course have had the Park Royal style of body, still worth seeing with the exposed radiator and strange if they only lasted six years as such. Chris Barker – I will post a photo of a re-bodied Daimler shortly. They were pleasant enough, but nothing like any other Crossley bodies I’ve seen. What I’m actually after is a photo of one of them BEFORE they were re-bodied! Such photos are be very rare. Any holders of one out there? The date of 1959 cannot be correct for the rebodying as the Crossley factory had been closed over a year by then. In fact they entered service in September and October 1955. It turns out there were not many batches of Daimlers bodied postwar by Crossley. In addition to those I listed the remaining ones were the nine Portsmouth examples, 250 for Birmingham (2776-2900 and 3103 to 3227) and 35 for Aberdeen (175-204 and 210-214). Thank you, David, for clarifying the revised date to 1955. I, too, took the Classic Bus Link date of 1959. I notice that Birmingham’s Daimler CVG6 3225 survives and the Crossley bodywork gives only the merest nod to their standard Corporation design! Chris Hebbron has actually sent me a shot of a Portsmouth Crossley rebodied exposed radiator Daimler CWA6 it will be posted in its own right Wednesday 19th January.